The most important tool in your shop – the garage floor mat. Many of us spend hours in front of a work bench, working on cars or doing other projects. 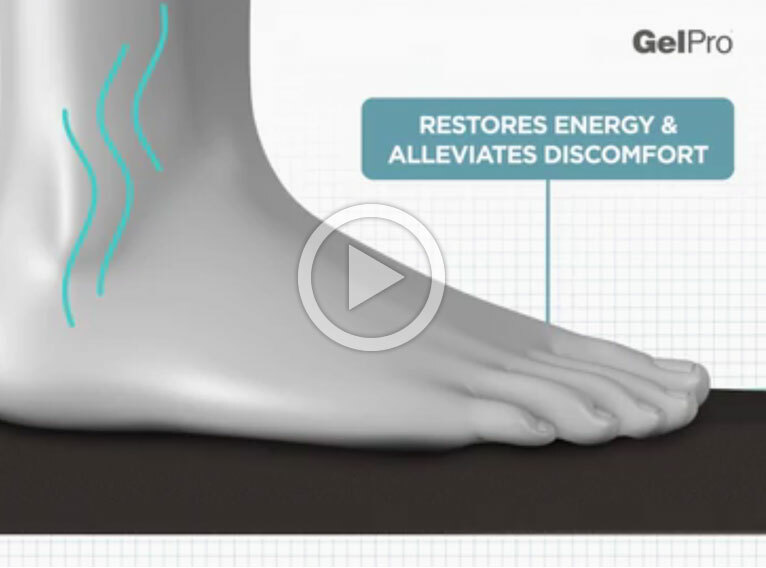 Bare, hard, concrete floors can cause stress on the entire body which results in extreme discomfort and fatigue. 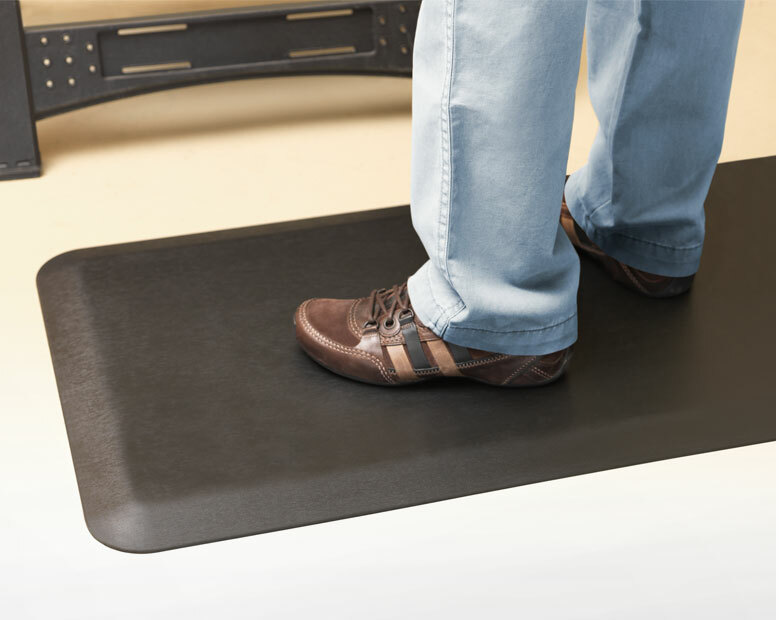 If you notice sore feet, legs and back after time in the garage, the NewLife Professional Grade Comfort Mat is an important tool you are missing! This premium, durable garage mat is constructed of energy-restoring, molded polyurethane foam for maximum comfort and lasting relief to cold garage flooring. Browse GelPro's garage mats for a useful Father's Day gift he'll always use. 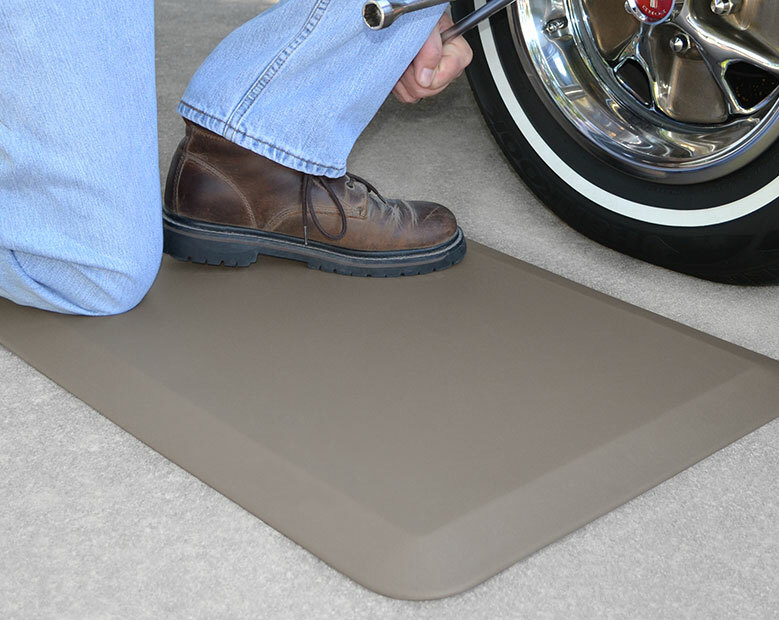 Extra-durable garage gel mats take the hurt out of standing. Far superior to any of the other brands I have tried in my workshop. I stand in one place a lot and even with doubled "comfort" mats my feet, knees and lower back would hurt after a few hours. Now I can stand all day with minimal discomfort. I like them! I spend a lot of time building furniture in our garage. My NewLife mat really protects my legs and back from hurting. I also like that it’s easy to clean! If you have any issues with knee or foot discomfort from prolonged standing while working, especially in a shop or kitchen, then spend the money on these; you won't regret it. People who use NewLife garage floor mats actually claim to be able to stand for longer periods of time without experiencing fatigue and soreness. Ordinary anti-fatigue garage mats soil easily and delaminate. NewLife mats have a stain-resistant top surface that’s easy to clean, and will never bottom out or delaminate, it's the perfect useful Father's Day gift and mat for concrete floors.